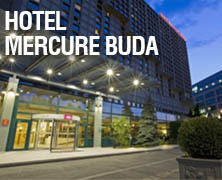 The Budapest BI Forum is the leading vendor-independent business intelligence and analytics conference in Hungary. This year we are running an official PyData track in cooperation with NumFocus. The list of invited PyData speakers include Ian Ozsvald (PyData London), Alexander Hendorf (EuroPython &PyConDE) and Vincent Warmerdam (PyData Amsterdam). Case Studies: How you solved a technical/business problem using Python and Pydata ecosystem. The actual problem could be anything from data collection to data preparation to data visualization to machine learning. Tools, Tips and Best practices: Intros to tools/modules/packages for specific problems, how-to talks for typical data processing and analytics tasks, sharing experiences and tips on using PyData tools within large corporations all good fits. General interest talks. We also look for talks which cover general data/analytics topics which are interesting for a PyData audience. A standard speaking slot will be 30 minutes long and a quick talk will be 15-minutes There are also a few slots for workshops, which would take place on the first day of the conference. We are looking for both beginner-level or in-depth technical talks. The preferred language of the talks is English, but we will consider a limited number of Hungarian talks as well.